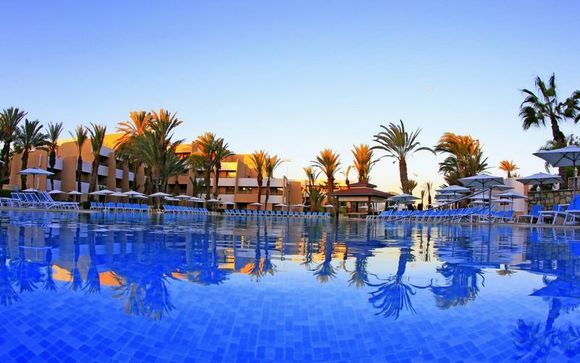 All Inclusive Holidays to Morocco up to -70% off To take advantage of these offers, join now for free! Ancient medinas, scorching deserts, and cities brimming with fascinating culture, Morocco is a mystical gem, nestled amongst the Northern Africa scenery. If you're looking for an all inclusive holiday to Morocco, it really is the country which has it all. From some of the best gastronomy you’ve ever sampled to colourful architecture, including traditional mosques, you’re in for a real treat with any trip to this wonderful land. The cities (or medinas) of Morocco contribute to this country’s fantastic reputation, but it’s not all about the hustle and bustle. 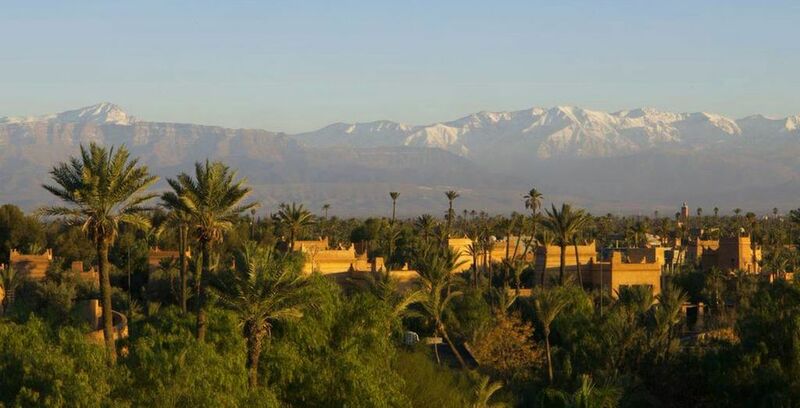 Its varied landscape means you can soak up the breathtaking scenery, including the renowned Atlas Mountains, and sweeping Sahara desert, too. The main reason for travel to this exciting country is varied, but we believe the best part is the exciting, colourful culture, scorching year-round sun, and delicious food. A land of various geographical features, here you can opt for the city life, or choose to get away from it all. Each medina is unique in its own way. From the super souqs of Marrakech to the history and traditional elements of Fez, explore it all on your doorstep whilst staying in one of our hand-picked luxury hotels. Perfect for a sun-drenched couples getaway. If you’re after the quiet life, stay outside of the city and relax in style with your own pool, great for travelling with families. A rich and diverse city, Marrakech is a must-see when visiting Morocco. Spend the mornings wandering around the Djemaa El Fna, the main square, where you can soak up the atmosphere before heading to a rooftop bar. Enjoy the backstreet cafes, hidden cafes and quaint restaurants, as well as vast souqs where you can get lost for hours on end. Sporting beautiful gardens and colourful architecture, including the city’s famous mosques, a camera is essential. A traditional city which has been blessed with a modern touch, Fez features the world’s largest car-free urban area. Here, you’ll find donkeys carrying goods along the small, winding streets, aromatic foods and exciting culture. With over 9,000 streets in this maze-like vicinity, Fez is adorned by mosques, palaces, and museums. North Africa’s highest mountain range, the Atlas Mountains are absolutely breathtaking, there’s no better word for it. A snippet of history in the country’s landscape, the mountains are perfect for a trek in the milder months, between Spring and Autumn. Pack those comfy shoes and whatever you do, remember the camera. One of the most interesting aspects of Morocco is its incredible souqs, also known as covered markets. One of the best ways to spend an afternoon is getting lost amongst the endless art, trinkets, and spice stalls. Discover exciting new recipes, get your hands on a traditional rug, or simply while away the day choosing presents for your loved ones back home. These sand dunes reflect those you only see in the likes of Disney movies; the sand is burnt orange and piled high into sweeping cloud-like formations. A camel riding tour is a great way to spend a day, whether that’s as a couple, or with the family. Book a tour which takes you out into the desert and allows you to stay into the evening, so you can experience the out-of-this-world views of the Milky Way. This 10-day tour takes you on a whistle-stop tour of some of the best sights Morocco has to offer. 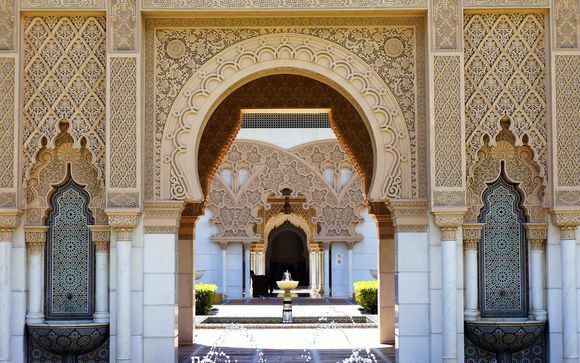 Starting and ending in Marrakech, you’ll enjoy the striking golden deserts and bustling cities of the infamous Casablanca, and historic Fez, all whilst soaking up the North African sun. Experience the sights of the Atlas Mountains along the way, as well as tucked away desert villages; sights you’ve never seen before. Let’s not forget the fabulous hotels along the way, too, complete with turquoise water pools and luxury rooms. The clue’s in the name with this sensational deal. 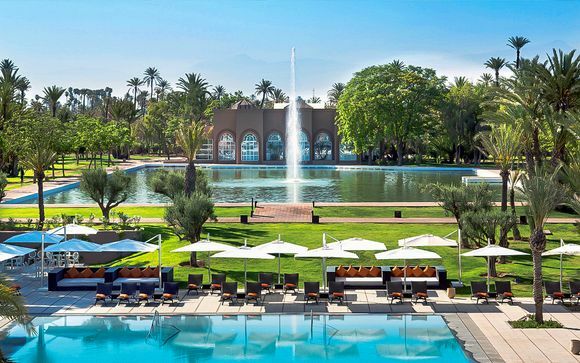 Experience the stunning lakes, national parks, waterfalls, palm groves, and overall lush scenery of Morocco, before being transported to your luxury hotels to enjoy some of the finest dining the country has to offer. Your days will be filled with exciting tours, complete with some of the most qualified specialist tour guides, and panoramic views of mountains and valleys, so you can really soak up the atmosphere and transport yourself to a simpler time. Why have one hotel when you can have three? Discover all Marrakech, Fez, and Chefchaouen has to offer, accompanied by none other than your own private tour guide. Non-stop vibrancy awaits in Marrakech, before travelling to the historic land of Fez, and finishing at the intriguing ‘blue’ town between two mountains. Experience the most deluxe hotels, cuisine and atmosphere, with plenty of time to explore and experience the real beauty of Morocco. Beautiful Mediterranean beaches and great sun are the two obvious attractions of Morocco, but that's not all. 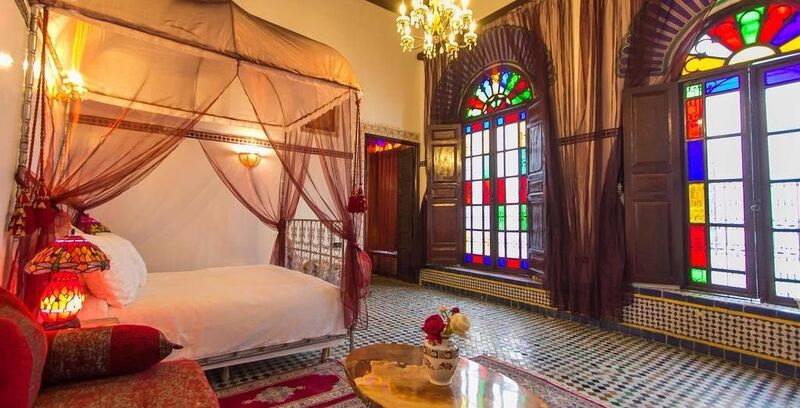 Culture vultures will also find plenty of museums and historical sites to browse around, including the Majorelle Garden and the 16th century El Badi Palace, while the ancient souks of Marrakech are not to be missed either, regardless of what you're looking for. Foodies will certainly be at home too in sampling some of the world-famous cuisine of the region. Our special holidays and tours can allow you to sample all of these or really explore the ones that interest you most - sign up today and let us choose the perfect holiday for your needs, at the best rates you'll find anywhere on the market. 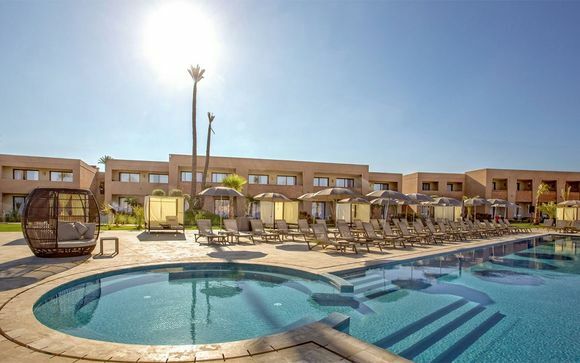 To help you really make the most of your stay, we have a range of all-inclusive holidays in Morocco for you to choose from, where you can get everything you need at the highest quality right where you're staying. 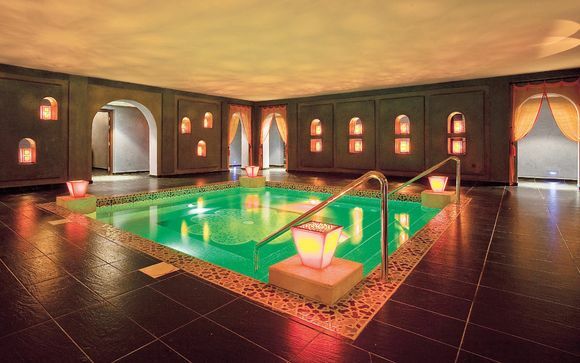 We only list four and five star hotels, all accessible to the many delights our destinations in Morocco offer. With our specially selected deals just for you, giving you all the essential comforts, you can take advantage by exploring the rest of the country, wander around the streets to take in the incredible architecture and soak up the local culture - or just simply the sun. Sign up today and enjoy the benefits of being one of our members, including savings of up to an incredible 70%. Let us organise your dream trip to Morocco today - just sign up, and browse our list of offers on all inclusive hotels immediately - it's as simple as that! 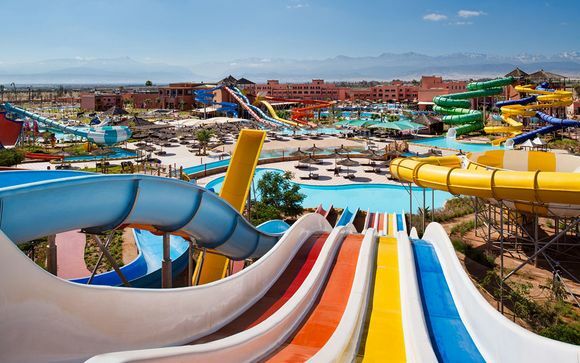 When it comes to weather, Morocco boasts fantastic year-round weather. The coastal areas enjoy a Mediterranean climate, with temperatures tipping the 30 degrees mark. Summers are hot, especially in the cities and the neighbouring Sahara, and luckily winters never really dip below 20 degrees. So, remember to pack cool, loose and comfortable clothing, as well as plenty of mosquito spray if you’re prone to bites. For an all-inclusive getaway, there’s no need to worry about an additional budget. Our selection of hotels include all the delicious cuisine and drinks to keep you truly satisfied. Venturing into the cities to explore can be done on a budget no matter where you go. Seek out hidden finds, such as local bars, restaurants and cafes, where you can enjoy food and drink with the locals, without a hefty tourist-trap price tag. 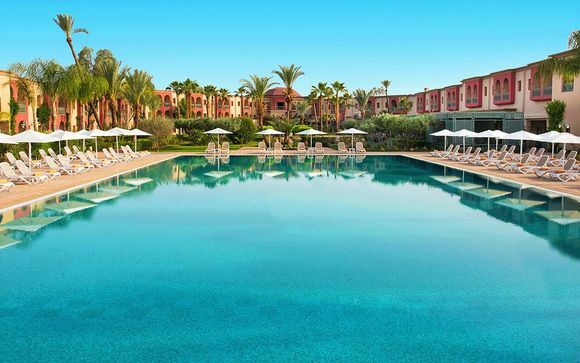 Booking your all-inclusive holidays to Morocco with us means you can live a life of luxury on your trip abroad to destinations such as the exotic and ancient city of Marrakech and the seaside resort of Essaouira, popular for its beaches, where you can indulge in any watersport you can think of! Our special offers run regularly, so sign up to our website and keep checking back to find the best offers available to these places. Whether it's tours, cruises or all-inclusive luxury hotels all over the world, you're sure to find something ideal to suit your needs. Why book a luxury holiday to Morocco? Unlike many other destinations in Europe and beyond, the weather in Morocco is fairly constant and there's virtually no chance of your sun holiday being disrupted by the elements, making it a great pairing with our exclusive offers - it really can be enjoyed at any time of year. A stunning holiday destination, Morocco has incredible beaches, including the 15km crescent-shaped beach in Essaouira and some of the finest cuisine in the world, including the stew-like tagine, couscous and zaalouk, a smoked aubergine dip. 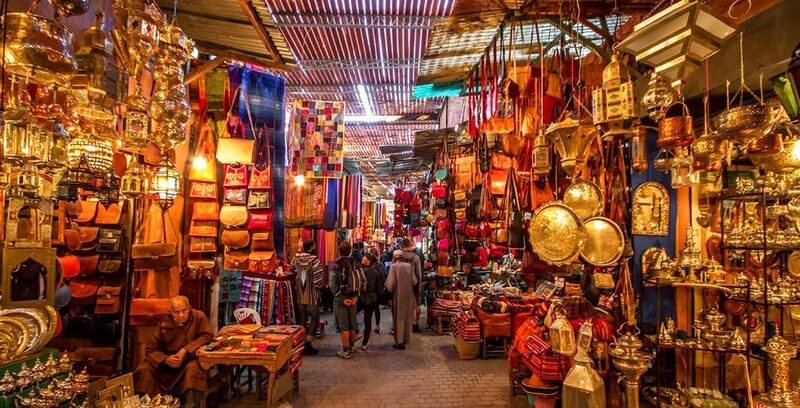 For the more culturally-minded traveller, there's also excellent history and sights both man-made, in the walled medieval centre of Marrakech, and natural, in the Atlas Mountains, with something to be found for everyone. Discover more travel in Morocco: sun holidays, weekends, holidyas, stays, great deals, last minute, travel guide, secret escapes.